David Erdman is a trial lawyer who has been recognized in numerous publications as a leading Charlotte attorney, particularly in the area of Family Law. Having lived in Charlotte for over 35 years (even serving on the City Council) he has become one of Charlotte's most influential and informed historians. Both in court and before audiences in history lectures, David effectively presents a message that is highly visual and interesting. In court, he presents visual evidence to communicate the client's message. 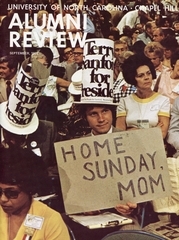 In public appearances, he displays scores of photographs to "show" the history, not just talk about it. Employing the thoroughness and documentation of a trial lawyer, David has compiled a vast collection of photographs that tell Charlotte's story from many different vantage points, including the Geography of Charlotte, the Military History of Charlotte and Streets of Old Charlotte in Pictures. David Erdman was born on July 4, 1949 at Camp Lejeune, NC and grew up near New Bern, North Carolina. He attended Duke University on an Angier B. Duke Scholarship and was the first person to graduate from Duke with a Degree in Biomedical Engineering. He now serves on the Board of Visitors of the duke Engineering School. He went to Georgetown University Law School where he was elected national president of the Law Student Division of the American Bar Association. David moved to Charlotte in 1976 and quickly became a well-known trial lawyer. David was recognized in 2017 (9th time) by Business North Carolina magazine as one of North Carolina’s “Legal Elite” in the field of Family Law. He leads the law firm of Erdman & Hockfield, which he founded in 1981. 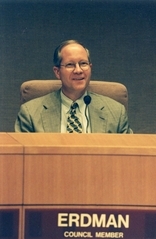 In 1999, David was unanimously appointed to the Charlotte City Council to fill an at-large seat. David is an author and frequent lecturer, having delivered over 225 presentations on the History, Geography, and Future of Charlotte. He has been quoted in media outlets including the New York Times and the Washington Post. 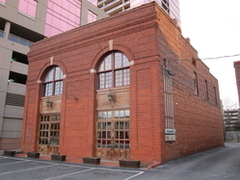 His book 100 Lost Architectural Treasures of Old Charlotte is in its third printing. David is a member of St. John’s Baptist Church where he has been a Deacon and a long-time adult Sunday School teacher. He is married to Lynn Erdman, CEO of AWHONN, a national nursing organization. They have two daughters: Natalie, a Certified Registered Nurse Anesthetist and Emily, a school teacher. When not immersed in his busy law practice, David is frequently invited to speak to civic groups. In his picture-packed presentations, he shares his extensive knowledge of Charlotte's history and geography.